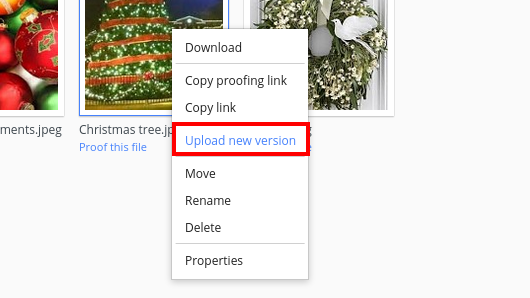 Right click on any file for which you would like to upload a new version and choose Upload new version option. 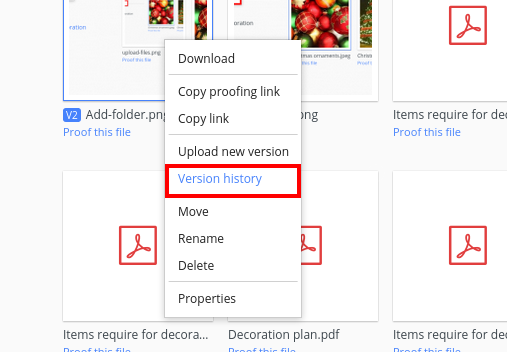 You can upload new version either from your system by clicking on attachment icon, from the other projects present in your ProofHub account, or from third party apps like GDrive, Dropbox, Box and OneDrive by clicking on their respective icon. Select people whom you want to notify for the new version. Hit Notify and selected people will be notified regarding new version of that file. If you want to see the previous versions of file, then you can right click on any file and choose Version history option. It will display you all previous versions of that file. 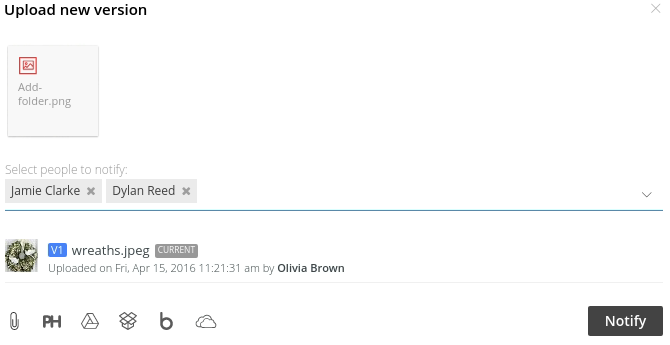 You can use any of the previous versions to make it the final one by clicking on Make current option anytime. And, if you use any previous version as current version, then all the previous versions will be deleted automatically. To download the previous version, click the menu icon from right and choose Download option. You can also delete the previous version by clicking the menu icon from right and choosing Delete option.